Music Matters Classes are offered in two age ranges: Birth to 6 years and 4 years to adult. 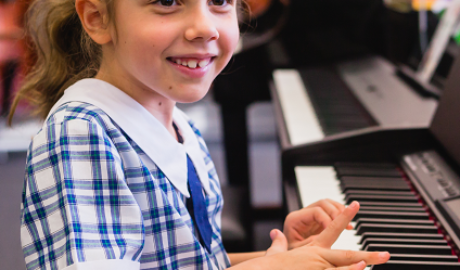 Enrolments in Early Learning Music classes or Music Matters music lessons can be accepted at any time during the term if there are places available. Payments for part of a term will be adjusted accordingly. $27 per person for paired lessons, where two students learn together. All siblings receive a discount and may attend the same or different lesson times. The SCKBG is for students of all ages. We have a variety of bands so you can join the right band for you at any stage in your musical journey. Are you a beginner? Great, we have a band for you. Are you an adult who has always wanted to join a band. We have you covered. 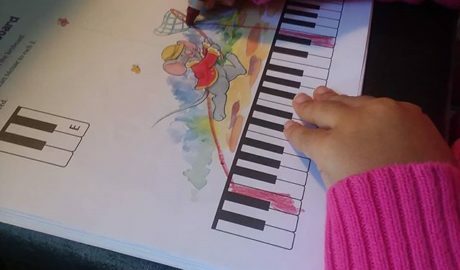 A course designed for pre-school aged children that provides a comprehensive approach to musical learning, using a piano over a 2 year period. 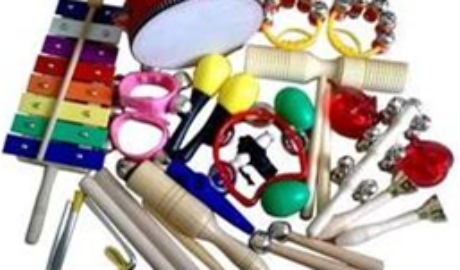 Designed to assist you in learning how to share singing, dancing, playing percussion and other musical activities with your child, no matter what your musical ability. For ages birth to 6 years. Students learn how to keep a regular beat by using percussion and drumming techniques at each lesson. 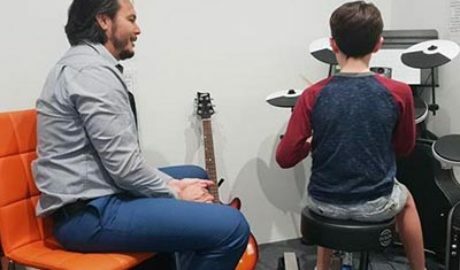 Even woodwind, guitar and piano students use drumming techniques in class to learn about rhythm. Classes are given in good faith. All lessons are payable. I will do my utmost to make up a lessons missed by a student if at all possible, but may not be able to depending on scheduling circumstances. Lessons missed by me will be made up or refunded. Lessons are pre-paid at the beginning of each school term. I am more then happy to chat about special payment arrangements to assist your children in attending lessons. Parking is available in the Home Maker Centre, Maroochydore. The escalators in the Yellow section of the park lead straight to the The School Locker on the first floor. The School Locker provides an excellent music studio for your children to learn in. Please avoid bringing food and drink into the actual studio room as instruments should be handled with clean hands. Prams may be left near the studio door. Public toilets and baby change rooms are available and there is a coffee shop close by. Just contact us and we will send you an enrolment form by email.